Established in 2017, Vintek Pharmaceuticals is a notable Pharma manufacturers, whole-seller and trader of Pharmaceutical Tablets, Pharmaceutical Capsules and Pharmaceutical Injections. Supported by state of- the-art manufacturing facilities, determined workforce, and strong moral values the company is balanced to take meaningful strides towards additional progress and accomplishment. The company manufactures its products in an excise free zone. We offer products on monopoly basis to our business associate nationwide. With a wide product range, we have business associates in almost every state. After years of satisfaction, trust and support of our customers, the group has established itself as strong brand in the market. We offer monopoly products in best packing with unique promotional material..
Rosswelt with just few products and continuously progressing under the able guidance of our Managing Experts. We are engaged in manufacturing and supplying a wide range of formulations such as tablets, injections and new drugs that are DCGI Approved. These include Analgesics , Antibiotic & Anti-Infectives, Anticold & Anti Allergics and Antipsychotic Drugs. Apart from these, our range also include Cardiovascular Drugs, Gastro & Antiemetic & Anti Ulcerant, Haematirics, Hormones, Neurology Supplements, Nutritional Supplements. Unison Pharmaceuticals Private Limited (Formerly known as Unison Pharmaceuticals) was established in 1981 with a vision of providing quality & most affordable medicines across the nation. With more than 3 decades of medical service to the society, Unison is today one of the fastest growing company in Gujarat State. Everyday, we strive to develop medicines that are designed to improve the health and quality of life of patients around the world – medicines which are innovative, effective and which offer added benefits such as reduced side effects or better ways of functioning. Since its inception in the year 2008, Edward Young Labs has become a promising Manufacturer, Exporter and Supplier of Pharmaceutical Medicines in Chandigarh. The company is a part of DM group of companies, a WHO-GMP Certified Company. Edward Young Labs is an ISO 9001:2008 Certified Company & received Udyog Patra Award. To achieve recognition as a Pharmaceutical Company with superior quality herbal and pharmaceutical products and to have mutually rewarding long-term relationships with suppliers, pharmaceutical & healthcare community and our field associates across the Indian subcontinent. Positif Life sciences established strong capabilities in the international market with exports contributing a substantial part of the total revenues. Fitwel Pharma is a rapid growing PCD pharma company occupied with manufacturing of international quality pharmaceutical products. Our manufacturing plants are equipped to produce tablets, capsules, ointments, and powder for health care and having in-house testing facilities as well. Our primary focus is the patient. We would like to introduce ourselves as a integrated franchise (PCD) pharmaceutical company with a wide range of Tablets, Capsules, Liquids, Dry Syrups, Injectable,Ointments and protein powders. All products will be manufactured at GMP standards and Schedule M compliance manufacturing unit. Quality is a foundation on which the company has built its reputation. Today, we meet or exceed current good manufacturing practices (cGMP) norms and continue to invest in our people, process and equipment to ensure that we remain an industry leader. Finecure has several accolades to its credit including the “Arch of Europe Award” 2012 and Assocham India Business Excellence Award 2012 and has been recognised by Assocham, IDMA and FICCI. The company is certified for WHO GMP, ISO 9001, 14001, 22000 and OHSAS18001. The company is CRISIL 1A rated towards “High Performance Capability” and “High Financial Strength” and is maintaining a Double digit growth rate. 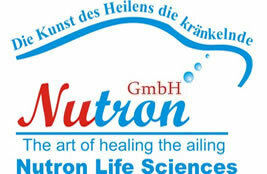 Nutron Life Sciences was incorporated in 1999. We appreciate your interest in Nutron Life Sciences and would be glad to have you as our privileged customer. Nutron Pharma assures you of best services for effective marketing of products in the territory chosen by you and ensures timely supply of quality products with competitive prices. Not only this, the company provides an assuring goodwill on which you can always rely upon. We are a renowned manufacturer & supplier of pharmaceutical drugs which find their application in the medical sector & allied areas. The product line includes Tablets, Capsules, Injections, Ayurvedic Medicines, Syrups, Softgel, Creams & Powders and Dental Solutions. Our Objective is to spread the goodness of pharmaceutical cure far and wide. We also strive to launch a new range of pharma products with more effective results and more effective cure. Natco Pharma Limited was incorporated in Hyderabad in the year 1981 with an initial investment of INR 3.3 million. With a modest beginning of operations as a single unit with 20 employees. Our extensive array entails Iron Supplements, Antispasmodic Tablets, Antimalarial Medicines, Nausea/Anti Vomiting, Orthopedic Medicines, Miscellaneous Products, Antiallergic Tablets, Anti Allergic Tablets, Anti Vertigo Medicines & many more. We are focused on conveying inventive medicinal answers for meet the dermatological needs of individuals all through their lifetime while serving social insurance experts around the globe for this we have tie up with our European and South Asain Partners. We are a leading Pharmaceutical Marketing Company having a wide range of Pharmaceutical and Nutraceutical products & have achieved this in a very short period which shows that we are a fast growing company. GMP & WHO, ISO 9001: 2008 certified company.